Brickhouse Bakery, one of the most popular cafés in East Dulwich. While East Dulwich has changed immeasurably over the past decade or so, it has retained its community feel and boasts a high street full of independent shops, restaurants and cafés. 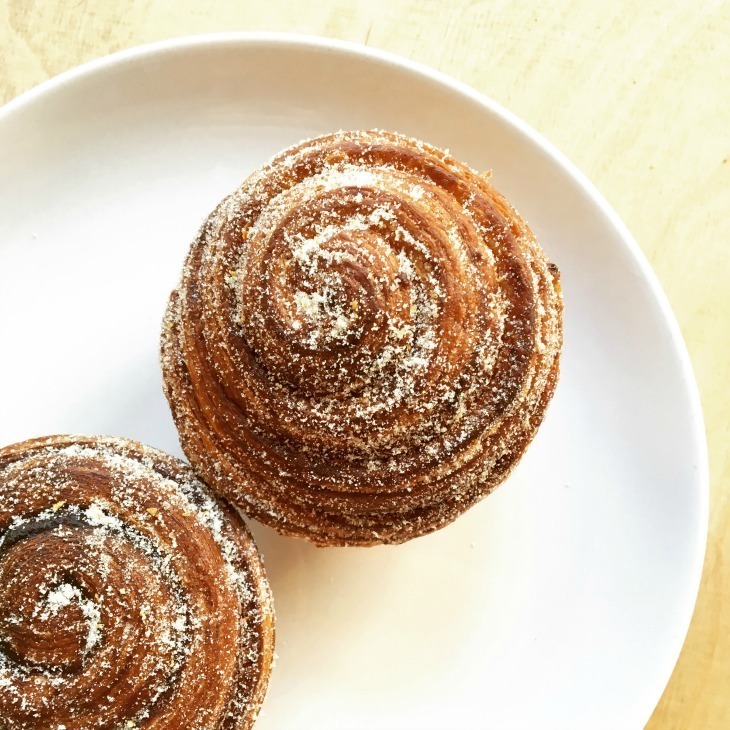 The bustling Brick House Bakery & Café, tucked away down Zenoria Street, is the place to go for bread-based breakfast, brunch or lunch and award winning sourdough bread to take away. In this spacious, airy café — run by husband and wife team, Fergus and Sharmin Jackson — parents, children, freelancers and dogs all sit side by side. Expect everything from avocado on toast, boiled eggs and (sourdough) soldiers and toast & homemade jam to colourful salads (the panzanella is one of our favourites), porchetta sandwiches and sticky pecan buns. Coffee is from Square Mile and probably the best, if not the cheapest, to be had in the area. Don't leave without trying a citrusy, morning bun. 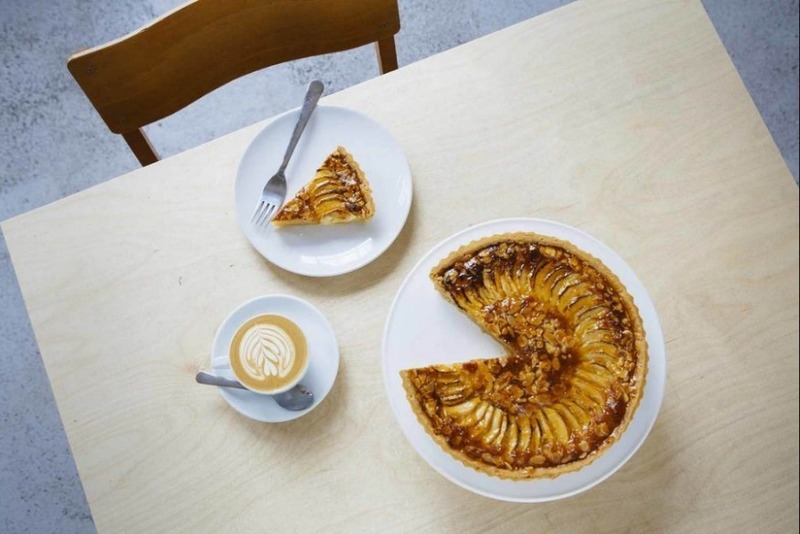 A short stroll from East Dulwich station is Blackbird Bakery, a busy little bakery and café, which started out life as a stall on North Cross Road Market and now has six shops across south London. A popular spot for weekday lunches and reasonably priced. 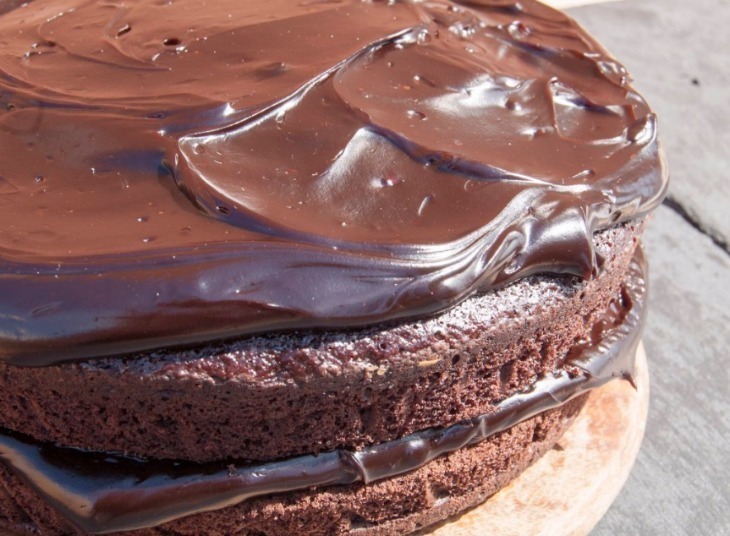 Everything here is made in-house — bread, jam, cereals, pastries — from the best of ingredients. Locals love the sandwiches and fresh juices (try the carrot, apple & ginger). 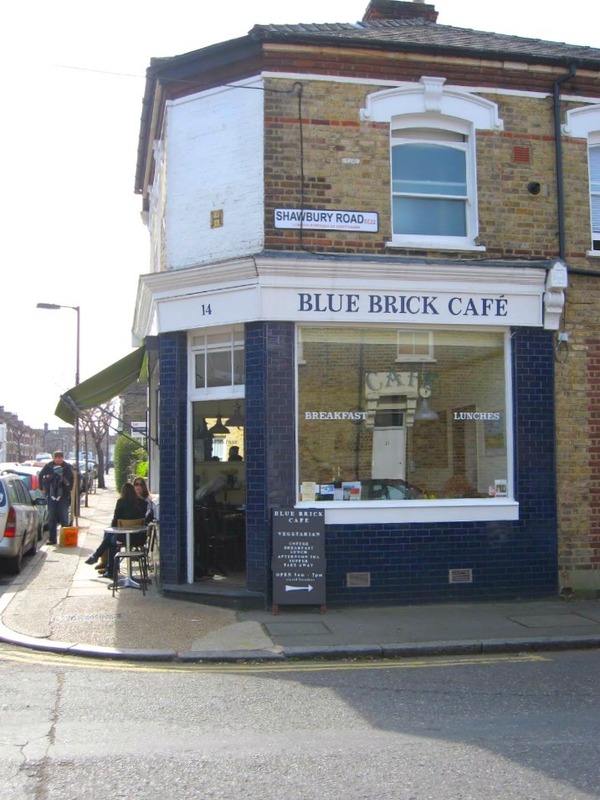 The simple, quaint style of Blue Brick Café, with its old wooden school chairs and an eclectic array of bottles and vases adorning the walls and windowsills, makes this a calm retreat from the bustle of Lordship Lane. A welcoming haven, serving up generous plates of vegetarian food to non-meat and meat eaters alike. Order the full veggie with both the homemade veggie sausages and bubble & squeak. On the other side of East Dulwich, a stone's throw from the most southerly tip of the beautiful Peckham Rye Park, is Norris + Knight. It's a charming café with a pretty courtyard garden, resident hens and a distinctly Spanish feel. The coffee offering (which is improving) comes from local roasters Volcano Coffee Works and the all day brunch menu makes this a good place to relax over the papers at the weekend. Make sure you leave room for one of their mini Bakewell tarts. You'll also find brunch served on Saturdays at the Great Exhibition, The Palmerston and Franklins. 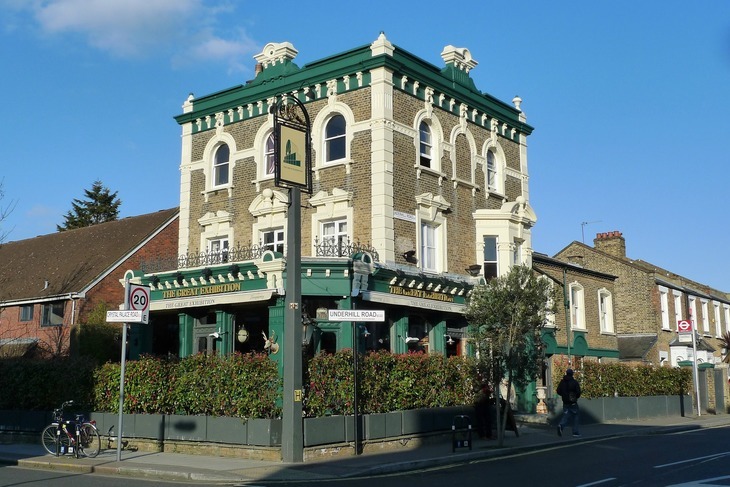 Lordship Lane is home to quite an array of restaurants which all get busy at the weekends, so it's best to book ahead. 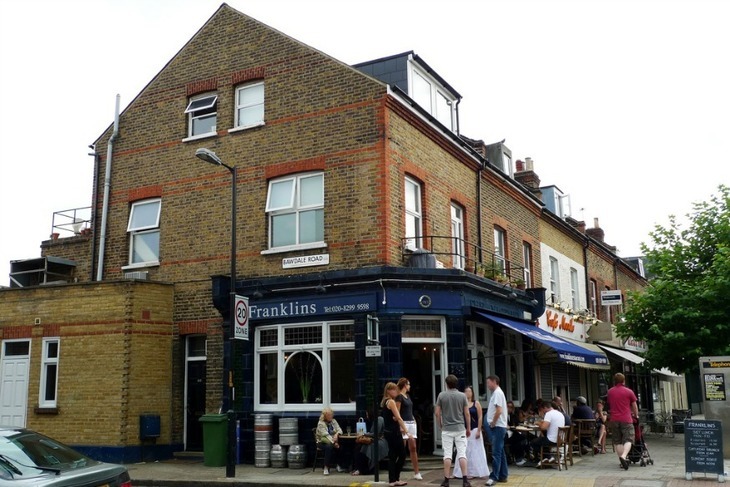 East Dulwich institutions Franklins and The Palmerston remain top of their game for modern British food. Although coined a gastro pub by many, The Palmerston has more of a relaxed restaurant feel, particularly in the room to the back of the bar. The ambitious menu changes regularly to reflect the seasons and there is an equally well-selected wine list. The set lunch menu is good value on weekdays and is a great way to sample the food on offer. Our favourite table in the colder months is tucked away to the left of the door in front of the open fire. Franklin's is a hugely popular neighbourhood restaurant. Photo: Ewan Munro. Franklins is everything a local restaurant should be with simple, well-sourced food and friendly service. Expect dishes such as rabbit rillettes & pickles and red leg partridge & garlic courgettes. The bright dining room with open kitchen is a lovely space to eat, day or night, whilst the bar to the front is a relaxing spot for lunch and a pint of local ale. The sushi and sashimi are where it's at with relative newcomer, Yama Momo. We love the spicy tuna roll with avocado and the snow crab shumai. The best tables are towards the front of the restaurant. Since the departure of Michael Hazlewood and Matt Osbourne, the food at Toast.ED is not what it once was, but this wine bar and restaurant comes into its own for a glass of wine with a plate of cheese and charcuterie sat up at the long bar. With a carefully selected wine list, featuring natural, organic and biodynamic wines and affordable tank wines, there is something to suit every palate (and wallet). After causing quite a commotion with its original name, permanent pop-up restaurant, Platform 1 has settled comfortably into its home and hosts up-and-coming chefs to showcase their work. The Great Exhibition. Photo: Ewan Munro. Watering holes are not something East Dulwich is short of, but with the sale of the Capital Pub Company a couple of years ago, the quality of some now leaves a bit to be desired. Two of the best are a little off the beaten track. As with everything in East Dulwich, the Great Exhibition ruffled a few feathers when it opened after major renovation of what was the Crystal Palace Tavern. But it turns out that knocking the old tap room and bar into one big space was the best thing the Laine Pub Company could have done. This popular neighbourhood pub is the perfect spot to settle in for a session, especially for one of the live music sets (Thursday evenings and Sunday afternoons). Beer aficionados are well served with an excellent selection on tap. There are regular offers on bottles of prosecco too. Head down on a Saturday morning (11am-1pm) for the bottomless brunch — unlimited breakfast booze is something we can definitely get on board with. Watson's General Telegraph. Photo: Laine Pub Company. The Watson’s General Telegraph has the best beer garden in East Dulwich. Even when the weather turns, you can cosy up outside around one of the fire pits and settle in for the night. Despite its neighbourhood location, their beer and cider offering makes the WGT a destination pub. 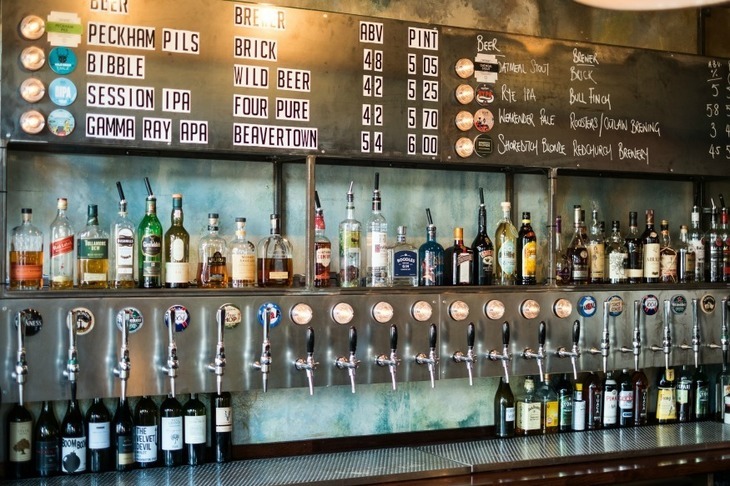 There are 20 taps, 12 of which are craft beers, and six hand pumps dispensing craft ales and ciders. Kegged beers are a little on the pricey side though. Back on the main thoroughfare, in a prime spot on the corner of Lordship Lane and Goose Green, East Dulwich stalwart, the East Dulwich Tavern (or the EDT as its known locally) is still going strong. A lively pub, which is popular with beer drinkers (featuring in Camra's Good Beer Guide 2016) and sports fans, it gets busy on match nights and at the weekends, when punters spill out onto the benches outside. Further up Lordship Lane, cocktail fiends will love the House of Tippler, with its vintage interior, house cocktails, chilled vibes and music on Fridays and Saturdays. A few doors along, La Cave de Bruno transports us to Parisian pavement café life with its bistro tables outside under the awning. This independent wine merchant, run by local resident Bruno and championing small wine producers, is the perfect spot for a pre-dinner tipple. 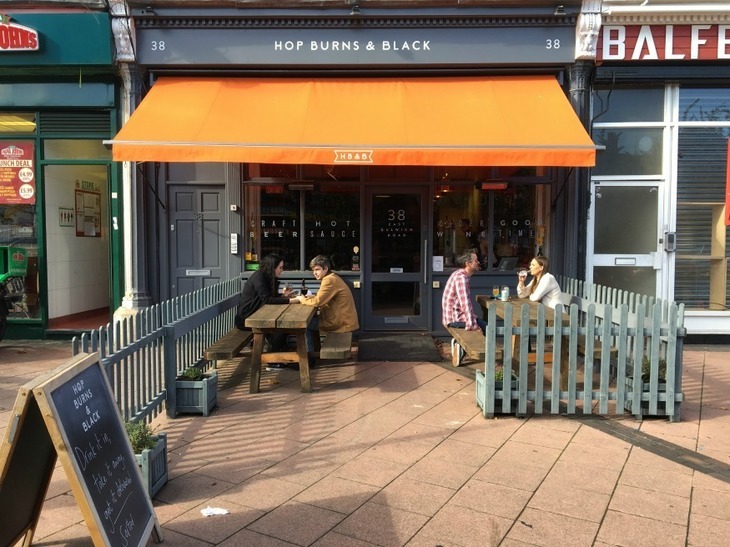 For the best range of beer, head to Hop, Burns & Black, an independent craft beer, hot sauce and vinyl shop on the Peckham border. Grab a beer (there are over 300 bottled numbers and four kegs to choose from) and take a seat in the window or on one of the benches outside to watch the world go by. There is no denying that East Dulwich is awash with children, big and small. Happily, if you're eating out with children in tow you will be welcomed pretty much everywhere (although do bear in mind that many local restaurants and pubs have a no children, or no under-12s, policy after 7pm). If you need space to manoeuvre a buggy and baby change facilities then you'll feel at home at Brick House Bakery & Café, with highchairs, spacious loos and big glasses of cold milk on the menu for children, and Toast.ED, where they are kind enough to offer free babycinos when you’re getting a much needed caffeine-fix for yourself. Blue Brick Café will serve half portions of anything on their menu for young children, although there isn’t room to swing a cat, let alone park a buggy. Saturday cinema and park trips are incomplete without a huge bag of popcorn from Drum & Kernel on North Cross Road Market and for the very best ice cream, bypass Lordship Lane and head to Fabulous Ice Fires on the parade of shops next to Goose Green Playground.